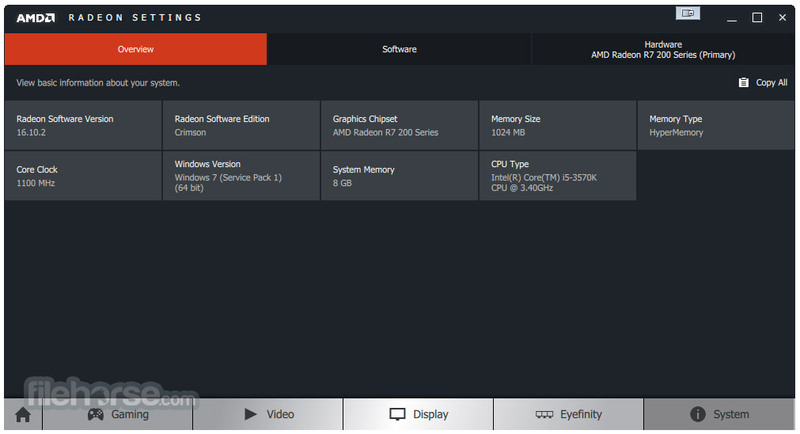 AMD Radeon Software Adrenalin for Windows 7/8 64-bit is AMD’s advanced graphics software for enabling high-performance gaming and engaging VR experiences on VR capable hardware. Capture, stream and share your greatest moments and gaming wins with Radeon ReLive. Modify settings quickly, conveniently, and play seamlessly with the easily accessible in-game toolbar. Express yourself in bold new ways with custom scene layouts. Upload your latest highlights and let them be a conversation piece. It’s never been easier to build and grow your online community at anytime, anywhere. Radeon Software Crimson ReLive Edition revolutionizes the way we see content with smooth AMD FreeSync™ Technology2, support for stunning 8K resolutions and enabling immersive colors, contrasts and brightness through HDR3,4. 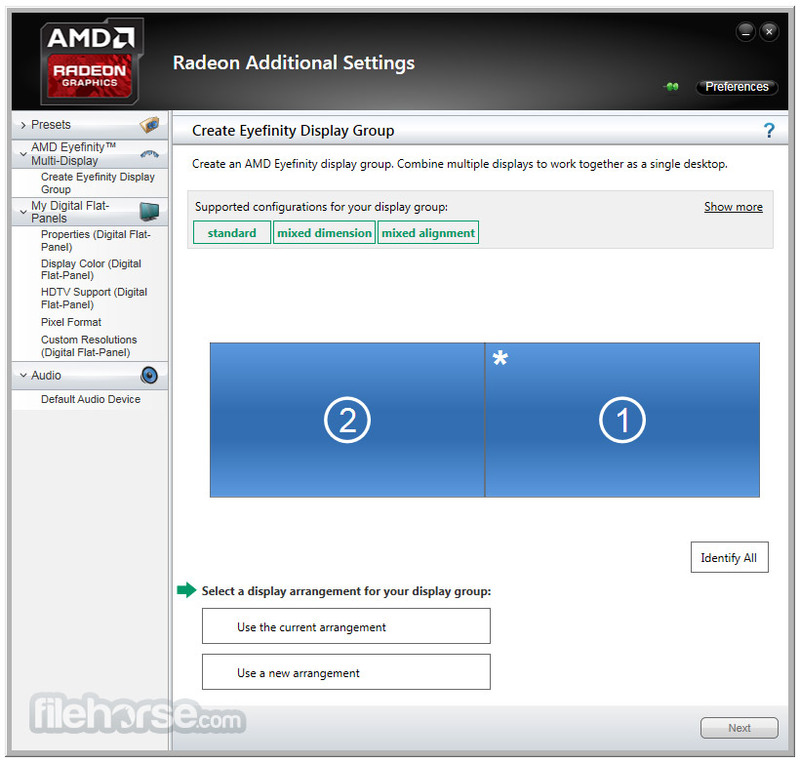 With enhancements to the Radeon Software display tab, getting the perfect display setup has never been easier. 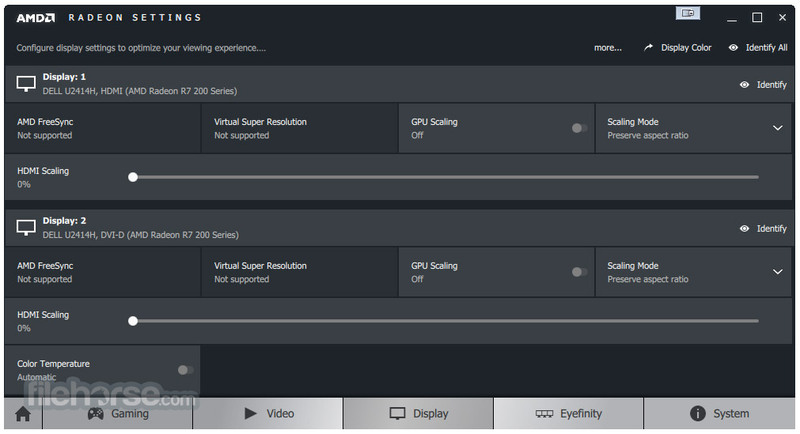 AMD Radeon Software Adrenalin further enhances AMD LiquidVR technology for Radeon VR Ready Premium5 graphics cards, delivering beautifully rich and immersive VR experiences with advanced comfort and effortless compatibility with leading VR headsets. AMD Radeon Software Adrenalin is the official software package from AMD, created to enable all Windows users to effortlessly provide full compatibility between Windows OS, it apps and of course countless videogames that are using DirectX, OpenGL and other APIs to interface themselves with all the processing power, features and services that can be provided with several generations of the powerful Graphics Processing Unit (GPU) cards from the famous Radeon line. Created over the last decade, Radeon GPU chips managed to pave the new techniques for processing graphical and direct compute processes, enabling perfect daily interaction with GPU for anyone from complete novices who demand only stable Windows OS environment, multimedia lovers who want perfect video and audio reproduction, video gamers who wanted to extract last possible drop of power for gaming, to professionals and designers who demanded rock-solid stability and wide feature set that can be easily accessed by their business projects. AMD Radeon Software Adrenalin package can be installed on any version of windows with ease enabling anyone instant access to wizard-assisted setup, support for multiple monitors, advanced 3D configuration options (anti-aliasing, texture filtering, texture quality and more), support for DSUB and HDMI configurations, integrated support for carrying sound over HDMI, sensor monitoring for temperature and fan speed of your GPU, integrated GPU overclocking tool and many more services that can help anyone take full advantage from all features that come with every new generation of Radeon GPU cards.